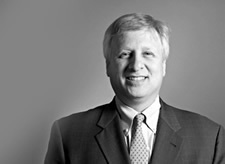 Frank W. Jaffe | Jaffe & Berlin, LLC. Representation of large retail commercial developer in multistate sale/lease back transactions representing sellers and buyers. Representation of residential developers in the development or conversion of multifamily buildings. Representation of billion dollar company in the securitization of business based loans in a multistate financing transaction. Representation of individual investor in multi-million dollar 1031 exchange of investment property. Representation of software company in acquisition and takeover of another company, including drafting stock purchase agreement and other relevant documents. Representation of retail running shoe company in purchase of stock interest from majority shareholder. Frank enjoys adventure travel and spending time with his wife, Leslie and children, David and Elizabeth, and the family dog.